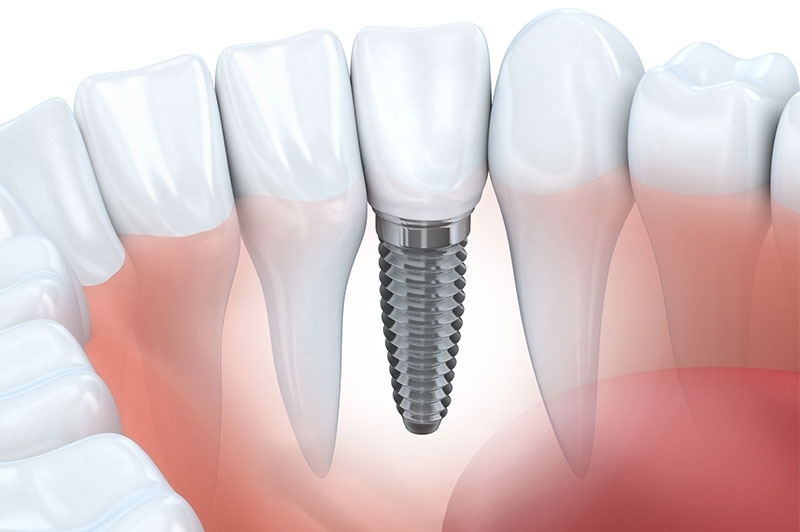 If you're looking for a permanent solution for your missing teeth, dental implants are a great option that the Lorne Park Dental team would be happy to discuss with you. It's hard to feel confident about your smile when it shows missing teeth. Here at Lorne Park Dental, we understand how important a healthy, beautiful smile is for you to feel and look your best. And, we know that missing teeth can make normal daily activities like eating or posing for a picture, awkward and uncomfortable. That's why we often recommend dental implants as a permanent, comfortable way to regain your smile – and your self-confidence. Dental implants consist of two parts: an artifical root made from titanium and a bridge or crown that resembles a natural tooth. The titanium root is positioned in the jawbone and then the crown or bridge is secured to the top. Whether you are missing one tooth, or several, dental implants are an a effective way to permanently restore your full, healthy looking smile. As mentioned above, dental implants are a great way to improve your self-confidence with a full smile. They also make the daily task of chewing your food much more comfortable, and they don't shift or wiggle around like dentures tend to do. In these ways, dental implants can greatly improve your quality of life. Another important benefit of dental implants is that they help to prevent bone loss, and the continued breakdown of your teeth. Dental implants look, feel and perform just like your natural teeth; no one will know the difference but you! Get in touch with Lorne Park Dental regarding your dental implant options.